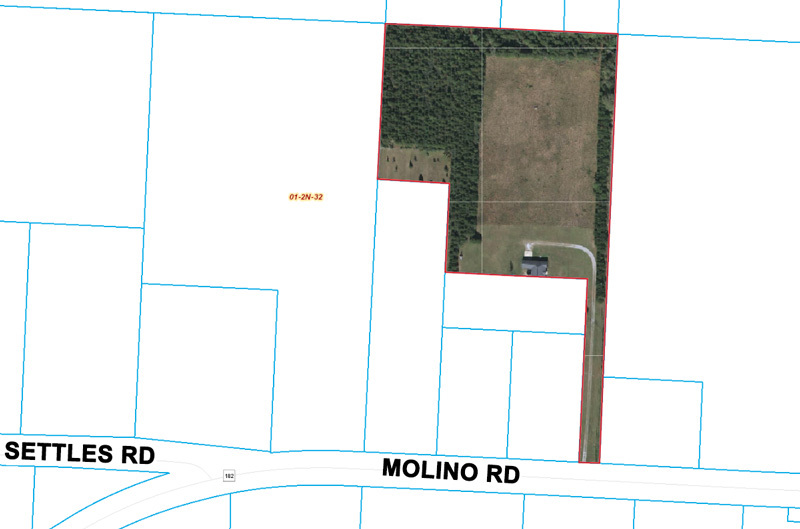 Wednesday, the Escambia County Board of Adjustment postponed action until next month on a conditional use request for a cell phone tower in the 4300 block of Molino Road. The delay was at the request of Integrisite as they seek approval for a tower to be located on just less than an acre subsection of a 12.61 acre lot. Most properties within the 500-foot buffer of the property are used as single-family residences or agricultural land. One single family dwelling is located on the parcel and is located less than 500 feet from the tower. County staff found the parcel does not meet 100-foot width requirement of the rural residential zoning designation and only has 60 feet of frontage on Molino Road. If the Board of Adjustment should approve the plan at their next meeting on April 17, Integrisite would be required to submit a formal application to the Escambia County Development Review Committee. Pictured: The area of the 4300 block of Molino Road. 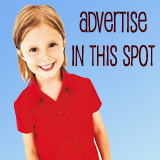 NorthEscambia.com graphic. Desperately need service if emergency weather alerts or Medical emergency myself or in family. Verizon is only carrier here & often no signal. Calls often drop & data buffers or drops in middle of business calls wehen weak connection. Problem is acute between Walnut Hill PO & H97 & connection impossible even outside or if drive between Pilgrim Hills & H164 in search of signal. HELP! Often no Verizon Service @ Hway 97 between N99 & Walnut Hill PO: can’t use phone to send or receive calls & unable to use data. Would not receive emergency weather alerts or calls re. Medical emergencies. When connected, calls often dropped & online connections lost. Verizon for years tells me I am in a “dead spot”. Desperately need reliable service & have tried other carriers without service. A tower is needed in Bay Springs and the Enon section of Walnut Hill. Even Verizon is not dependable there. They were supposed to put a Verizon tower on hwy 97 north of Dogwood Park bout 4 yrs ago when we moved out there. Haven’t heard anything else about it. Brian you have to stop at a Pay Phone on that route. Yes there is no service through there.